Never Lose Your Luggage in space travel again! 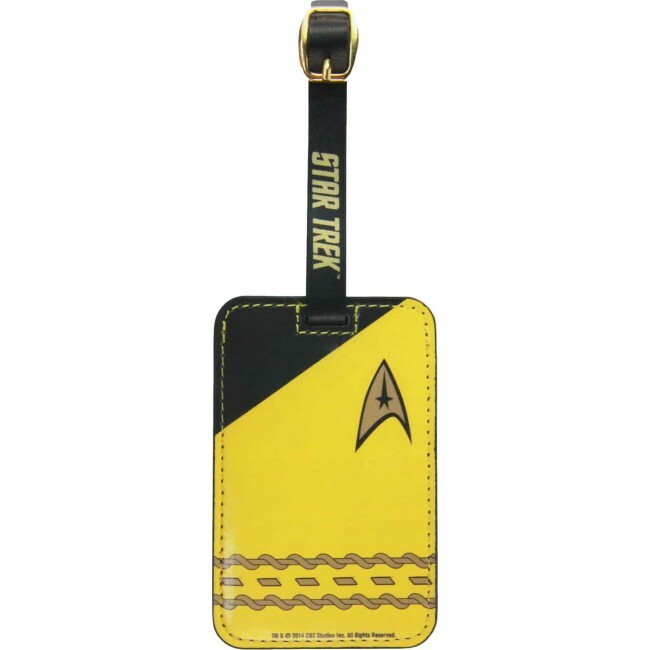 Represent Starfleet while keeping track of your gear. Gold Uniform Luggage Tag features spot-printed metallic gold Science insignia and appropriate rank braid. Adjustable strap with printed Star Trek logo and clear ID window in back. Full-color sublimated PVC.